This stand is an open scanner made for converting bound books to digital files. 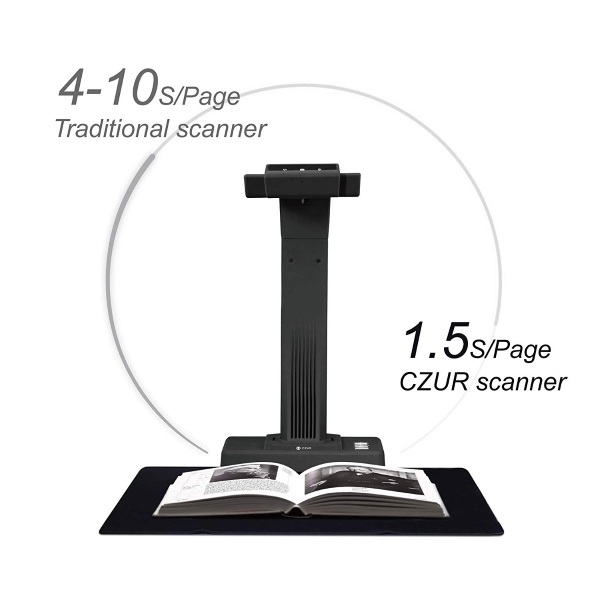 It scans the pages from above in just a few seconds allowing you to do full books in only a few minutes. Don’t worry about that pesky page curve, the scanner corrects for that so your final product is flat with no words cut off, yay! It also comes with OCR so that you can turn your scanned images into editable documents. Notate, make corrections and additions, copy paste, whatever you need. 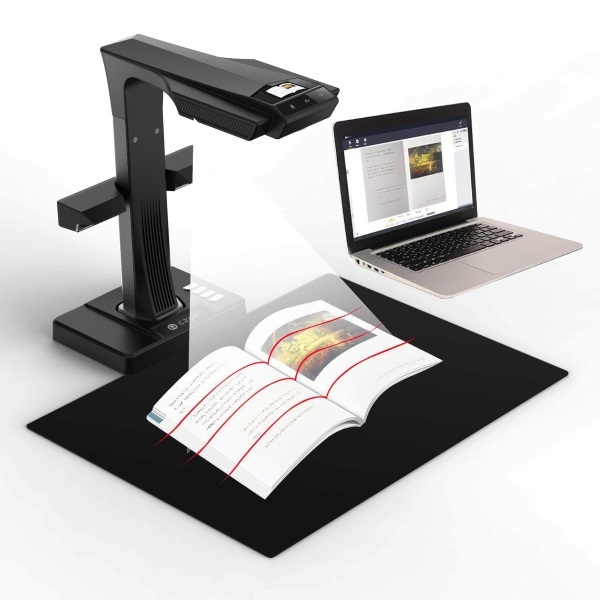 The scanner can be triggered by flipping the page or using the foot pedal. You can get this handy piece of equipment for $429.00.